These whole wheat Irish soda bread muffins are delicious, the perfect start a lazy cold March Sunday morning. Speckled with raisins, they are sweet and perfect enjoyed with a hot cup of tea. Plus, making them in muffin tins is perfect for better portion control and you can freeze the extras! More muffin recipes I love are Yogurt Chocolate Chip Muffins, Insanely Good Blueberry Oatmeal Muffins and Maple Pecan Banana Muffins. I used a combination of King Arthur unbleached white whole wheat flour with unbleached all purpose flour, and the flavor and texture was perfect – they don’t taste whole wheat at all. These are very lightly sweetened but if you prefer a sweeter bread you can add more honey. You can swap the honey for agave syrup. Try swapping the raisins for craisins. If you like caraway seeds in your bread, you can add about an eighth of a teaspoon. 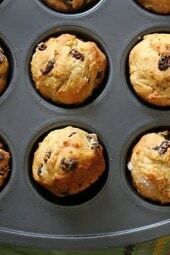 To store muffins, allow them to cool completely and place in an air-tight container or Ziploc bag at room temperature. Refrigerate for up to 5 days or wrap tight and freeze for up to 1 month. 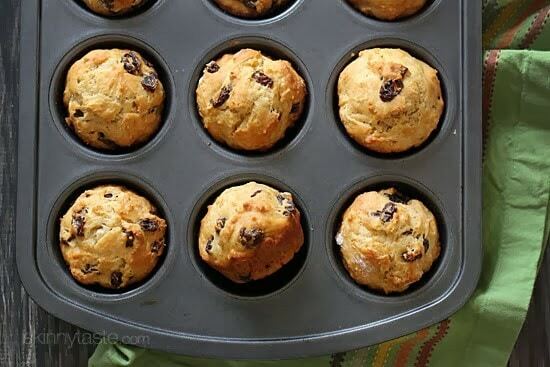 To get that fresh-out-of-the-oven taste, warm muffins in the microwave. Preheat oven to 375°F. Spray muffin tin with baking spray. In a large bowl combine all dry ingredients (flour, baking powder, baking soda, and salt). 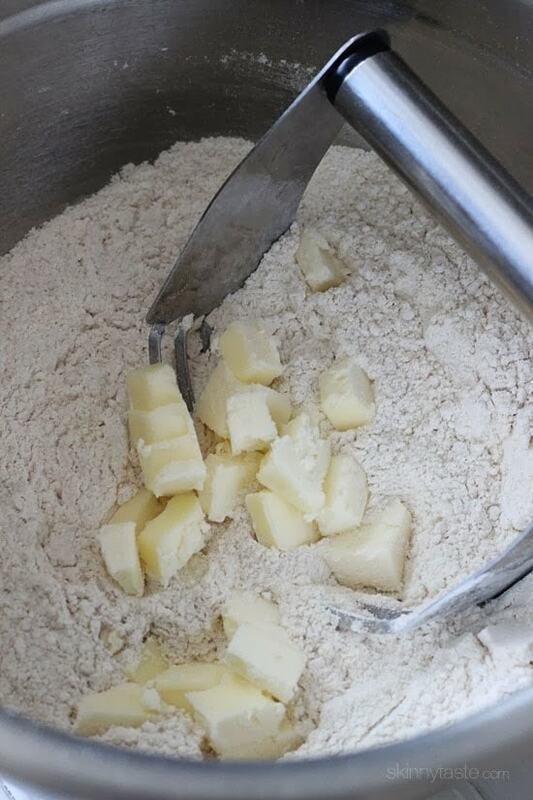 Using a pastry cutter or two knives, cut in butter until mixture resembles coarse crumbs. In a small bowl, stir together buttermilk, honey (or agave) and egg until blended. Add buttermilk mixture to dry ingredients and stir to combine. 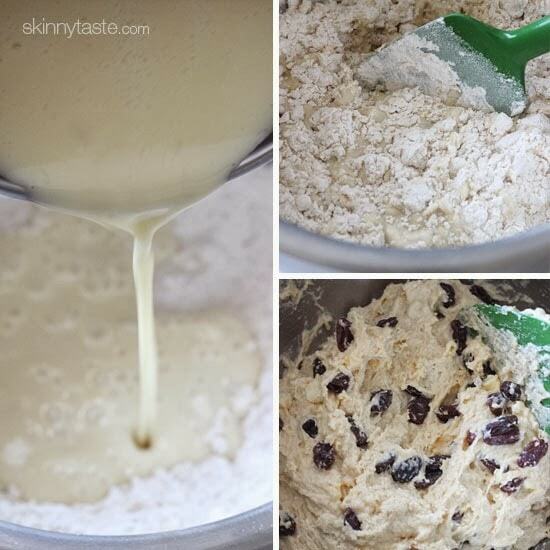 Stir in raisins. Bake 20 to 25 minutes, or until toothpick inserted in center of one muffin comes out clean. Remove tin and cool on a wire rack for about 5 minutes before removing muffins from tin; finish cooling on rack. 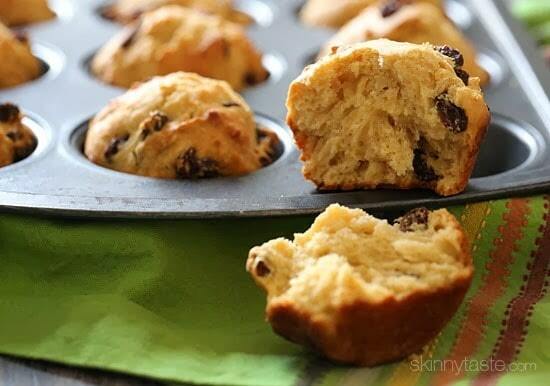 Serve warm or cool completely and store muffins in an airtight container or ziplock bags at room temperature. Thank you for this recipe! Made them into mini muffins (baked about 10-12 minutes). I just made these for the first time and wanted to try them with GF flour. I mixed Bob’s all purpose with Bob’s 1-to-1. Ah-mazing! My husband is a ‘I don’t want to eat bread” kinda guy, and he loved these! Can I use all AP flour? Or do I have to use whole wheat? Thanks! You can use all purpose. I only have all purpose flour on hand. Does this change the baking time or anything else? Any idea of bake time for mini muffins? That is fine. Baking time will be less, maybe closer to 14 min or until toothpick inserted in center of one muffin comes out clean, so keep on eye on it. I made minis today. Got 40 from one recipe. I checked at 10 minutes and toothpick came out clean. Can this be made with Almond flour??? Big thumbs up on these muffins! Easy to make and not too sweet. I am just now baking these muffins. However, I just eyeballed the amount of raisins. I never ever cook using weights when measuring out the ingredients. I don’t own a scale that would measure those small amounts. Could you please use cups, table spoons, teaspoons etc in your recipes? information. How is that possible since salt does contain sodium? Can we just pretend St. Patrick’s Day is on at least 6 months of the calendar? I’m thinking October through March would be about right. 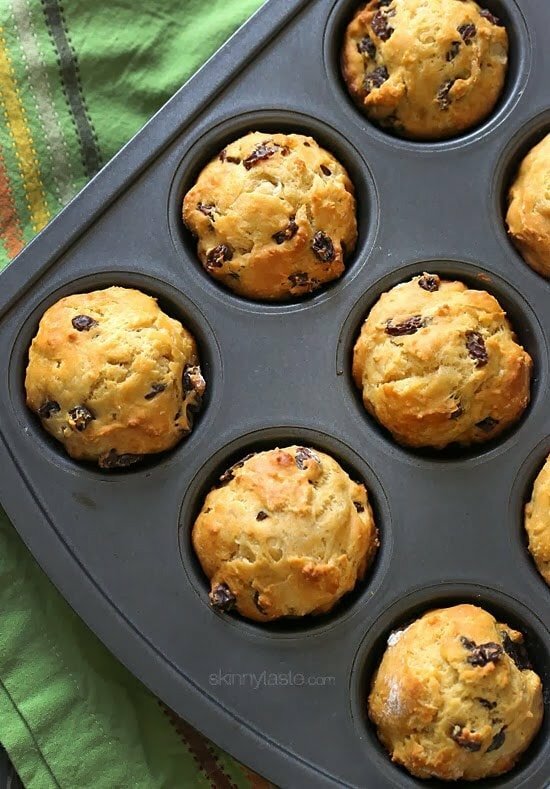 These Irish Soda Bread Muffins are delicious for a not-too-sweet snack with hot tea or for breakfast on cool mornings. As I spooned the batter into my muffin tin, I thought it seemed too thick (more like biscuit dough) but they came out soft and perfect. Although the raisins added sweetness, I plan to try Craisins next time, or maybe the new lemon-flavored raisins.Thank you, Gina, for so many great recipes! Your meal plans brighten my in-box. I made these on St Patrick’s day and they are delicious. So good in fact, I will be making them for our Easter brunch. So easy and so good. They are not marked as freezer friendly but I hope they are as I am a single person and I cannot eat all of them at once! They are in a the oven. Can’t wait to have you them. This was a easy and very tasty recipe. I used craisins instead of raisins, it made them a little sweeter. I have a question. What can I substitute for the egg? We have egg allergies. Gina—just what I wanted. A recipe with portion control and an easy way to freeze. Perfect for smaller families like mine. I made these tonight. They were so easy to make and they were absolutely delicious!!!!!!!!! I had to host a committee meeting this morning, so decided to try these two hours before members were to arrive… after all … it’s St. Patrick’s Day tomorrow. Living at 6400 feet, I used King Arthur Flour’s high altitude adjustments. The biscuits came out great! Baking doesn’t really interest me (so I was intimated both by having to make altitude adjustments AND baking), but everyone seemed to really like them (more so than when I provide sweets from a local bakery). I used agave syrup in the recipe and provided butter and honey as spreaders. Thanks for the recipe! What would be a good substitute for honey? Making these but I have someone I might give some to which is allergic to honey. Applesauce or sugar free syrup perhaps? Wow, if only I had looked here an hour ago. Began the afternoon baking skinnytaste bagels – mix half whole wheat with king arthur bread flour. Fabulous! Then moved on to the traditional irish soda bread. Put everything away after baking one loaf and decided there was still enough buttermilk and raisins to make another. Your recipe is not too different from the Ina Garten recipe I use. Well, I will remember this option for a breakfast muffin. Now I can’t forget to go look at that tuna chickpea salad you made and I made fun of as diet food. I’m up to the challenge. I haven’t made these yet but they look delicious. I do have a couple of questions. If using a nonstick muffin tine, do I still need to spray with baking spray? Should I adjust the baking temperature to deduct 25 degrees due to using the nonstick, darker pan? Don’t have buttermilk but I do have plain yogurt, how much yogurt is required to substitute for the buttermilk. Thanks! These just came out of the oven and are delicious! The hint of honey and sweetness from the raisins are juuuust right. My only mistake was trying to use cupcake wrappers to be festive, and there was definitely some sticking. This is a must try recipe for anyone who likes soda bread! Thank you for constantly giving us all something new to try. 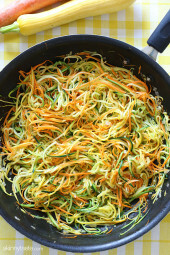 Your recipes/cookbooks are game changers for those of us trying to live healthier lives. Thanks Joy! Glad you enjoyed them! How many smart points would these be without raisins? Don't like raisins well enough to waste the points on them. Made these last night with your Lightened up Shepherd's Pie…..my three year old loved them! And I loved them warmed up with a little bit of butter with my coffee this morning! Thank you! I would like to use coconut sugar instead of honey or agave. Thoughts? And how muchin your opinion? I made these last night, but they came out a bit dense. Could it be that I mixed the batter too long? Also, is it salted or unsalted butter? I love the flavor of caraway, so I added about a teaspoon of caraway seeds. Next time I'll add more. Thanks for the help and for all the great recipes! Is it ok to use regular whole wheat flour? Does it change the flavor? Carbs per serving for the diabetics in the crowd??? The carbs are in the nutritional information..I believe it is 26 per serving. These were delicious. I served them with beef and barley soup so I appreciated that they were not too sweet. I always know if I use a Skinnytaste recipe, it will be awesome. These were outstanding! I used unsweetened vanilla almond milk with some vinegar mixed in as a substitute for buttermilk. They were all gobbled up by my family in one sitting. Super easy and delicious! Nice looking too! These are wonderful! The flavor is light which makes it delicious with a touch a honey on top, or peanut butter or jam! So easy as well! WOW WOW WOW, GINA! Just made these! And of course ate one already! Absolutely delicicous, light and fluffy! Only thing I added was 2 teaspoons of caraway seeds since I love them in Irish Soda Bread. I spread some cranberry honey on the muffin and it was heavenly! Will defiintely be making thses AGAIN on St. Patrick's Day (because this batch won't last that long!!) Thanks, Gina!! I have this baking in the oven now! Super easy and super delicious…like everything else you post! I make an Irish Soda Bread, famaily favorite for holidays….always wondered if I could put in bread maker ??? this is with wheat…so will try this one too…Thanks I live in South Florida…Publix makes a white and a wheat mountain bread, I got on line long ago and got a man's version of it for the bread machine, while it is good, it is not like Publix, any one have a recipe? Normally 4 points sounds like a lot but these sound so good I think they could be my breakfast. 4 points for breakfast is fine w me! This is going on my "got to make it" list! Pinning! I only have whole wheat flour not white whole wheat, is that ok to use instead? i like this article very much… many free wedding planner app used to getting the free wedding planning guidelines…. Muffins are a mainstay around our house. 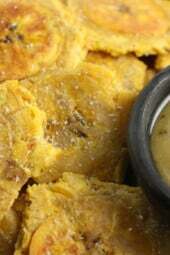 They are as nourishing as they are good to eat and can be a healthy snack. If you are conscious about yo u weight you can drink the Swami Mami Teas because it helps shed off some fats and betters your lifestyle. I am really pleased to have found this blog, looking forward to follow it! These will be perfect to go with your corned beef soup for St. Pat's! I just love your website! I have been using your recipes for over a year now and I haven't tried one I haven't loved. You're part of the reason I have lost 85 pounds!! Thanks Gina! I love irish soda bread! I am positive I will love it in muffin form too! Just an update. I did omit the agave and subbed caraway seed for raisins. They were delicious. We had them with the oatmeal leek soup. Perfect for a cold day!! I don't understand why you would omit the agave if you're not using raisins. One has nothing to do with the other, except both are sweet. I'd think you'd need the agave MORE if you didn't use caraway seeds. Also, buttermilk and skim milk are totally different things. You can make clabbered milk by adding lemon juice or vinegar to skim milk, but it'll end up really dry if you just use plain skim milk. Calm down. I was wondering about leaving out the honey too if I use caraway seeds because I don't want my savory soda bread to be sweet. It was a perfectly reasonable question. If I'm doing caraway seeds instead of raisins, should I omit the agave? Can I substitute the buttermilk for normal skim milk? Fresh out of the over. Made a couple changes- don't have buttermilk so I added lemon juice to regular milk (which is how I usually make my soda bread), egg beaters instead of the egg, and I used caraway seeds since I don't keep raisins in the house since they are toxic to dogs and I have a 4 year old who feeds things to the dogs. Not the same as my great grandmother's recipe, but still very good! And by having them in muffin form, it will definitely help with portion control! Oh and LOVING your site, just joined WW this past week. Hoping that hubby will like some of the recipes that have caught my eye. You are a genius!-cooking them in muffin tins. I've always made one big loaf and find myself devouring almost half of it as soon as it comes out the oven,while it's still warm. Made these today with chopped dried figs instead of raisins and they were amazing! They went wonderfully with the oatmeal leek soup, which I also loved. Thank you, I was trying to think what else I could use instead of raisins. So, instead of using 1 c whole wheat flour and 1 c of the all-purpose flour, you are suggesting that we use 2 cups of the Bob's Red Mill Whole Wheat pastry flour? I just made these and they are fantastic. I may add some orange zest to the next batch, just to experiment. Hi – I just discovered your great website…the pictures make my mouth water! There is no agave nectar where I live (Tunisia) – what can I substitute instead? Just made these but with craisins because I don't like raisins.. :p delicious! Not too sweet, just what I was looking for. Thanks again Gina! MM – I think it would work great. I've been using it a lot lately and loving the results. Can't wait to try these. I'm curious can you use Bob's Red Mill Whole Wheat Pastry flour for any of your recipes that call for a blend of white & whole wheat flour? What about your red velvet cupcake recipe which calls for a mix of cake flour & whole wheat? Thanks Gina!! I've been looking for some bread to make for St. Patty's Day, thanks for the recipe! I made this muffins today and am having one right now with a cup of tea!! These are wonderful Irish soda bread worthy without a doubt – worth every point! 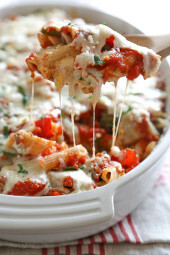 I just rejoined WW and after searching the net for points plus recipes came across your site. Looking forward to trying other recipes! Tomorrow I will be having the egg in the red pepper ring for breakfast! The raisins are optional but add a nice sweetness. I don't know how this would work with oil. Sorry. And yes, they freeze well! Hello, I'm sorry to bother you but I have a few questions. Can I substitute the butter with oil? In case, how much oil? Idk about substituting oil but you can use ff plain yogurt in place of buttermilk. Just made these last night! They're fantastic!! Do these freeze well?? Thanks so much for these recipes! I've got them in the oven right now. Super easy to mix up and I think they're going to be wonderful! @ gabby- it's at the bottom of the recipe. @ Lindsay- lol! I'm sure that had something to do with it but I love that you got her involved! These were great! The flavor was really good. Mine were a little chewy, but I think that was due more to my 3 y/o stirring (and stirring and stirring…) than to the recipe itself. Great addition to our St. Pat's Day meal and I love the portion control of the muffins! Gina…where is the little link to print? Looks good. I'll have to try them. I did try the brownie black bean thing and it went over really well. I liked them. Everyone liked them. Oh yay! We are having a St. Patrick's day party and these will be perfect! I love Irish soda bread. I can't wait to try the muffins! These look amazing, but everything I have made from your blog is amazing! Can't wait to make these!